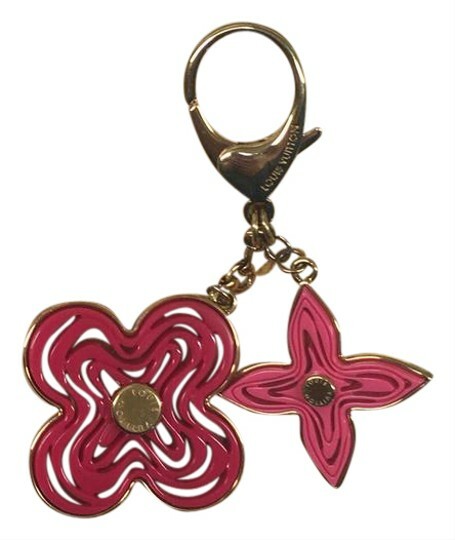 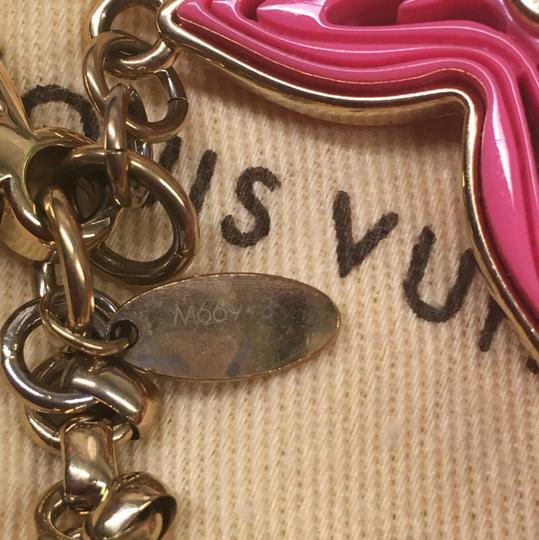 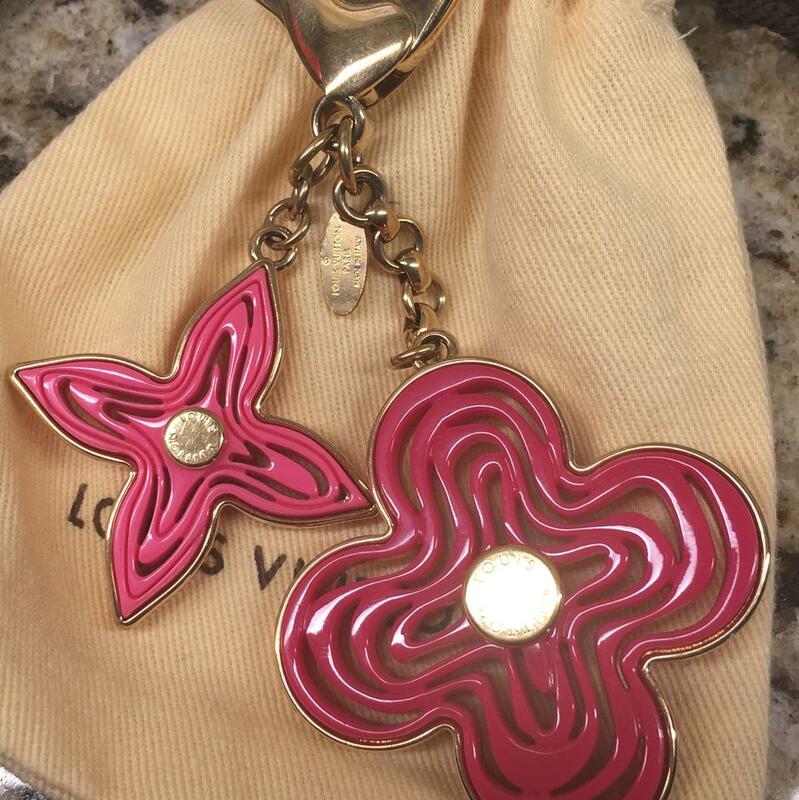 Hard to find authentic Louis Vuitton pink naif bag charm. 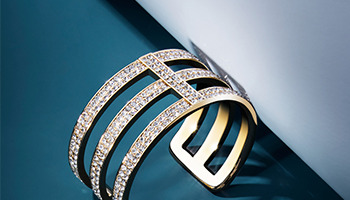 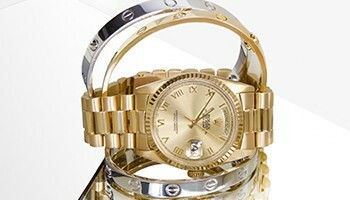 There are some scratches and slight tarnishing. 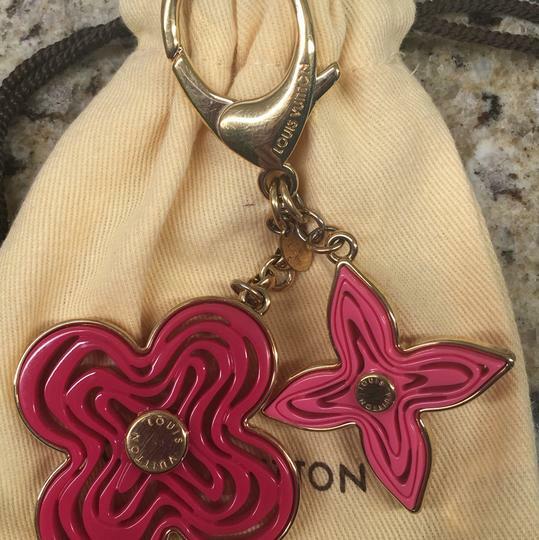 Comes with dust bag and box.